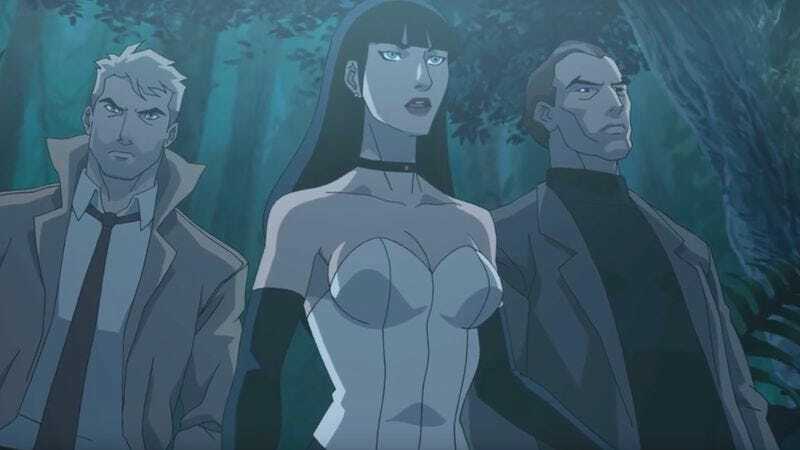 In a move that seems especially appropriate for an adaptation about characters who frequently interact with the spookier side of DC comics, the long-in-the-works Justice League Dark movie has risen from its grave and taken on a new, more powerful form. As reported by Variety, the project is back on with Edge Of Tomorrow’s Doug Liman set to direct, and though Warner Bros. and DC Entertainment haven’t said anything official, the movie will reportedly revolve around classic DC heroes (or “heroes”) John Constantine, Swamp Thing, Deadman, Zatanna, and Etrigan. Variety is also referring to the film as Dark Universe instead of Justice League Dark, but it’s unclear how official that is. For years, Guillermo Del Toro was working on a Justice League Dark movie, but like most of his projects, it eventually fizzled out. Then, just last month, DC officially announced an animated Justice League Dark movie starring (more or less) this same group of characters, but instead of signifying the end of any chance for a Dark movie, it seems like it’s actually being used to drum up some hype for the big-screen version. Finally, Doug Liman fans may recall that he’s already attached to direct a superhero movie, specifically the Channing Tatum-starring X-Men spin-off Gambit. With him signing up for Dark Universe, though, he has now officially dropped out of Gambit, making this the latest in a long line of setbacks for the project. The Hollywood Reporter says that Liman leaving Gambit is a “mutual parting of ways,” and it notes that the film will still start shooting early next year. Anyway, with Dark Universe now back on track, we can start dreaming up who we think should play these iconic-ish characters. What’s Keanu Reeves up to these days?